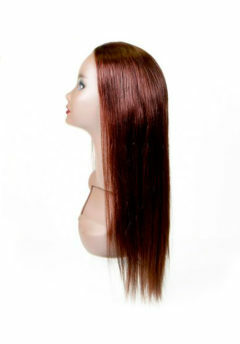 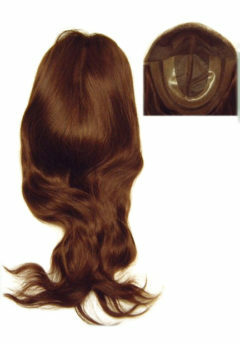 Fringe/Bangs - Silky Straight - Super Hair Factory Inc.
A Fringe/Bangs are made of 100% high quality human hair. 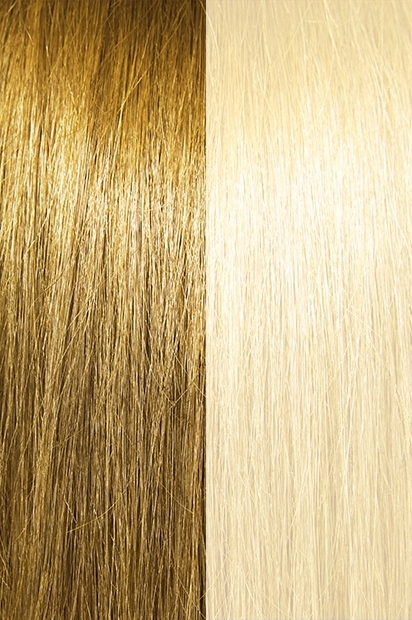 Our fringe/bangs are cut fairly straight at or above the eyebrows over the forehead with 6.5″ long hair and 14″ long hair at two sides. 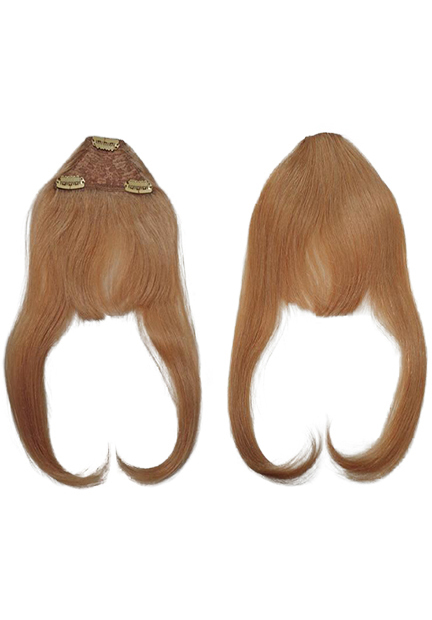 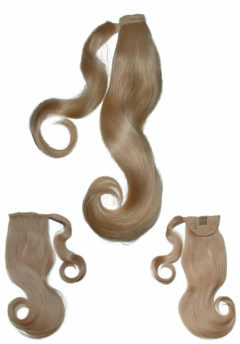 The trapezoid shaped base is 2.25″ x 4.5″ size made of flowery pattern wig net with 3 clips for an easy application.